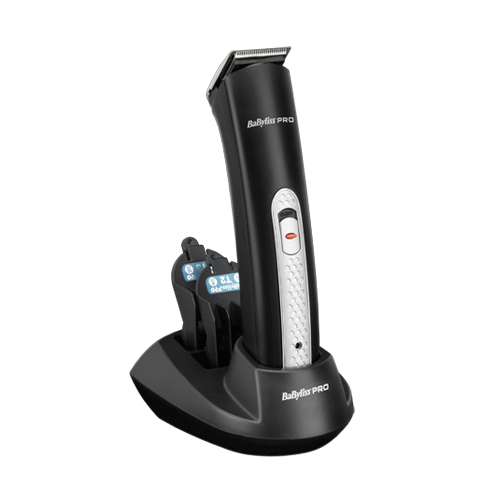 The V-Blade Trimmer with a high power cord/cordless motor, guarantees sustained professional performance. It features ultra-fine precision engineered hardened Japanese steel blades that have a unique super sharp V cutting angle for close, accurate trimming. The lightweight design and stylish easy-grip housing provide extra comfort and maximum control. Delivers up to 75 minutes of cordless operation when fully charged. A star performer for the ultimate in precision detailing.